McDonald’s has a new look, fresh beef and some pretty futuristic technology in the works. I frequently drive by the McDonald’s at 13th and Harvard on my way to and from TU, noting with each pass that it’s still partially closed for renovation. That’s why I was intrigued by the invitation to tour their newly designed lobby and taste their new fresh beef burgers; I hadn’t even realized that they had fully reopened. Hungry, but not enough to eat multiple burgers in one sitting, I asked Satire Editor Madison Connell to join me on my fast food adventure to Mickey D’s. As soon as we entered the restaurant, I noticed how stylish it was. It reminded me of a coffee shop; lots of wood, cool light fixtures and a rad leather couch. Very different from the McDonald’s of my youth. I later found out that this design was unique to this particular location. Greeted and given my burger and fries to taste, I sat down to eat and listen to Manager Bob Wagner talk about the restaurant, their new products and how they want to improve their relationship with TU. I tried the Signature Crafted Recipe Smokehouse Burger, and Madison had their Quarter Pounder with cheese. I hadn’t had McDonald’s, let alone a McDonald’s burger (I’m a nuggets kind of gal), in a very long time, and this burger was much better than I remember them being. The sauce was yummy, the french fried onions were a great addition and the actual patty was good too. Oh, and the fries were A+, but what’s new there? Those are addictive. It feels weird to review food from McDonalds, but this burger felt like something I would get at a fast casual place rather than a fast food joint. Regarding her Quarter Pounder, Madison told me that “for the cheap price, it is worth it, but it’s not something I’m going to be craving anytime soon.” She remarked that the beef did indeed taste fresher, but that you’re never going to get restaurant quality from McDonald’s because “that’s not really their game.” And I agree with her. The burgers were good for McDonald’s, for fast food standards. In his speech, Wagner relayed information about the place that I was surprised I wasn’t previously aware of. TU students apparently get a 10 percent discount at this particular restaurant. They now have kiosks inside the lobby that you can order from if you don’t feel like talking to people that day, which I can relate to on a spiritual level. The most interesting thing, however, are their plans for their app. 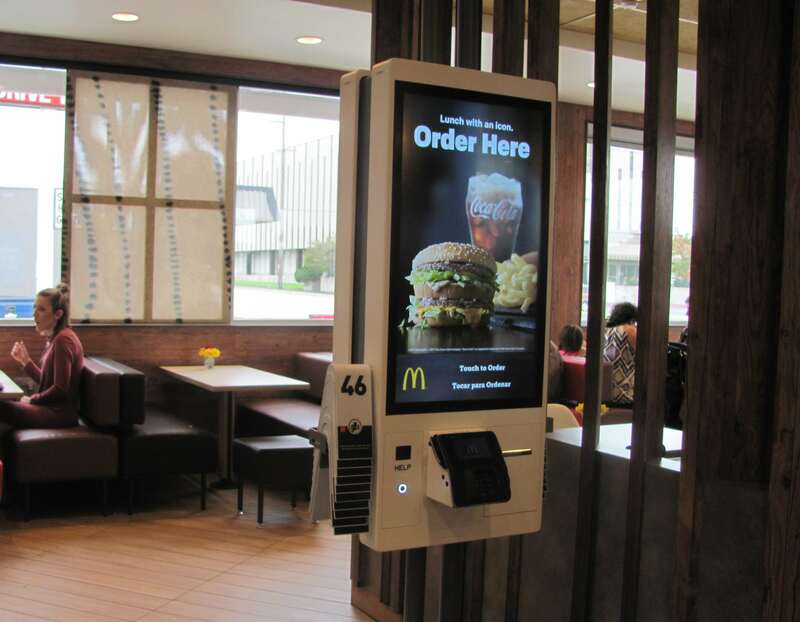 Currently, you can order from the McDonald’s app and get coupons based on your ordering history, but they plan to integrate this with facial recognition technology to streamline the process. The idea is that you’ll order from your phone at home and come pick it up from the drive-thru, where a camera will then recognize your face, give you your order and charge your PayPal account. This technology isn’t ready to roll out yet, but even if I never use it, it still sounds amazing. 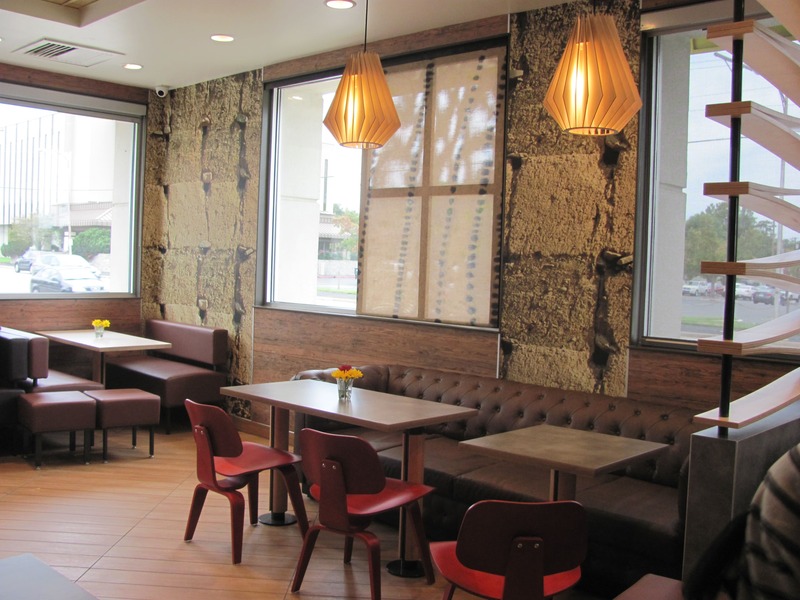 So, if you’re looking to eat some fresh beef at a good price in a fast food joint that kind of looks like a coffee shop, why not check out McDonald’s on 13th and Harvard?